Tonight we were treated to dinner at Maynard's Market & Kitchen by our friends Marlaina and MacG. Ed and I have been to the Market side of this establishment, the day we walked Tumamoc with my friend Kim - the hateful hiking event that needed to be rectified by having a delicious breakfast, kind of like washing away a bad experience with a good one - but tonight we dined in the Kitchen side, which features French inspired American food. And oh, what a difference. We began the evening by having a few of Maynards Craft Cocktails. The boys started with a Perfect Martini (Hanson of Sonoma Organic Vodka, Dolin Dry Vermouth, blue cheese olive, jalapeño and bacon olive, house onion) for MacG, and for the Texan in the house, Ed, a Texas Mule (Tito’s Handmade Vodka, fresh lemon and lime juices, ginger beer, cucumber simple syrup). Marlaina and I had The Cooler (Hendricks Gin, cucumber, cilantro, lime, agave nectar). I don't drink, and I was the designated driver anyway, so I had mine without the gin. It was extremely refreshing and oddly, I really liked the cilantro in the drink. The next round consisted of a Maynards Manhattan (Buffalo Trace house-infused bourbon, Carpano Antica, a dash of orange bitters) for MacG, and an Easy Living (High West Rye, pineapple gomme, Giffard grapefruit liquor) for Ed. I tasted both of Ed's drink - holy crap, they were potent! - and went back to nursing my alcohol-free cooler. We finally decided to order appetizers. The choices all sounded delicious but we eventually settled on two. Marlaina chose first, ordering the Barrio Bruschetta (Grilled local Barrio Bread baguette, peaches, prosciutto, bourbon burnt honey, boursin cheese, arugula, horseradish). The bread comes from a local bakery where they make the most delicious looking loaves of life you've ever seen. Their Instagram feed is intoxicating, I swear you can smell it baking. My choice was the Baked Mushroom (Ragout of wild mushrooms, Arizona pecans, puff pastry, pea puree, lemon confit, goat cheese, pickled pepper). I love mushrooms, and although both were delicious, if I had to choose, I'd say the Barrio Bruschetta took this round. The flavor combination of the peaches, prosciutto, bourbon honey, and cheese were just outstanding. I could have eaten two more slices without blinking. A little more chatting, a little more sipping of cocktails, and some talk of tartare. Marlaina and MacG really wanted to try the Steak Tartare (Chef’s blend of hand-chopped raw strip and tenderloin, local greens, sorrel, pickled and raw vegetables, smoked espelette aioli, topped with a raw egg yolk). I used to date a guy who ate raw chop meat on a sliced onion, but I've never intentionally ordered meat uncooked. Ed and I said we were willing to try it. And we did. I can't say we loved it as much as our dining companions did. I'll begin with my order. When I go to a place like this, no matter how unusual or elegant or even bizarre the preparation may be, I usually don't like to order something I can make at home - pasta, chicken, steak, pork. Sometimes, it's unavoidable, but usually I try to go for something I don't make, or don't know how to make. Tonight I ordered something I haven't had in at least thirty years, and wasn't even sure I'd really like, the duck. The only reason duck doesn't appeal to me is because the entire bird is dark meat. Birds which use their chest muscles for sustained flight (such as geese and ducks) have dark meat throughout their bodies, and I'm a white meat girl. But I thought I'd give it a shot. 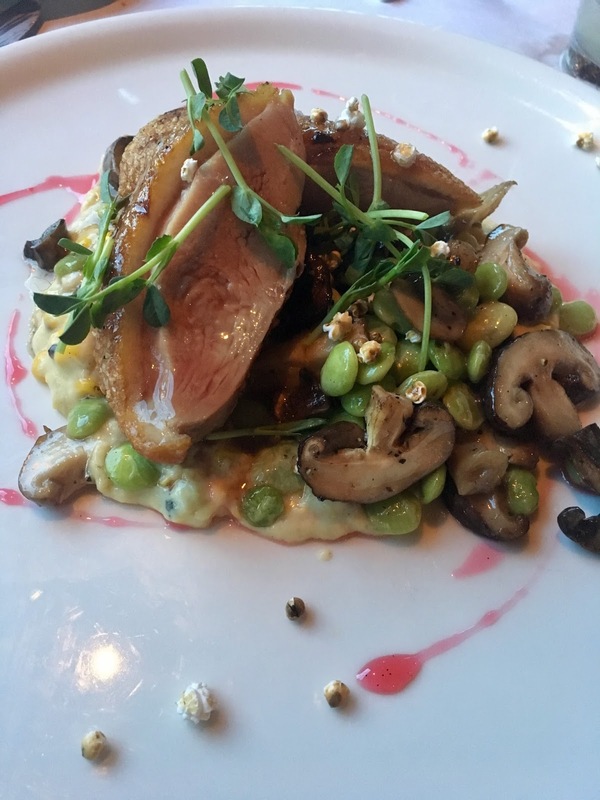 The Pan-Roasted Duck (Glazed duck breast, sauté of lima bean and wild mushroom, sorrel, puffed sorghum, roasted corn pudding, rhubarb vanilla gastrique), cooked medium-rare as the server suggested, turned out to be better than I expected. The duck was tender and flavorful, and the roasted corn pudding a perfect complement. The presentation was beautiful. Those little puffs at the bottom of the picture, the ones that look like tiny popcorn, are the puffed sorghum that's in the description. This is what sorghum looks like in the field. 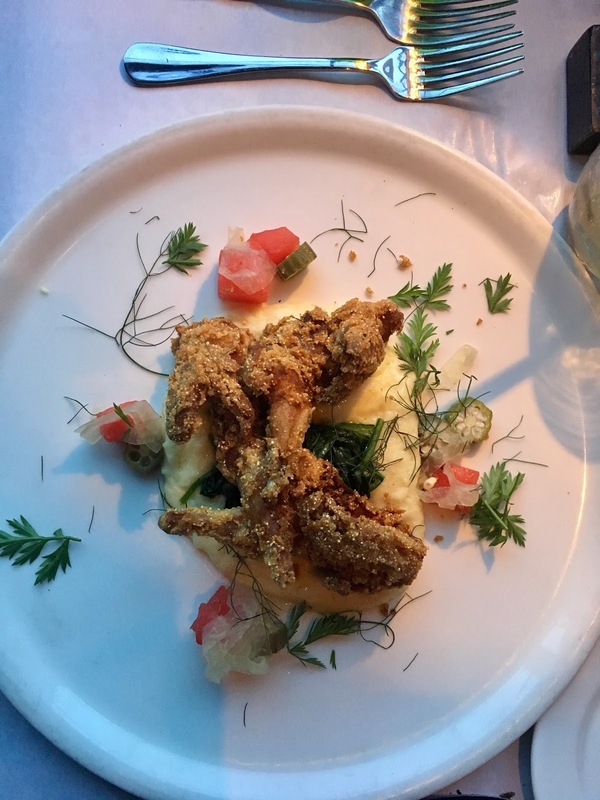 Ed decided on one of the other dishes I was eyeing - the Buttermilk Fried Quail (Stone ground & creamed Durham semolina, braised swiss chard, watermelon, pickled okra, baby herbs). The dish was beautiful, and Ed said it was good, but I have to say, I've never seen a tinier bird in my life. We have quail in our yard that are easily more than twice the size of this bird. Ed asked the server, "Are these Oro Valley quail?" making a joke because we live in that area and have quail in our yard, and the server replied, "I'm not sure, sir, let me find out for you." He was totes serious! He came back and said, "Actually, these quail are from Benson, Arizona." He literally had a totally straight face when he said it, too. Benson is is 60 miles from us, so when they say "locally sourced", they really mean it. I'm still trying to figure out how they breaded and fried that delicate little bird without burning its damn wings off. 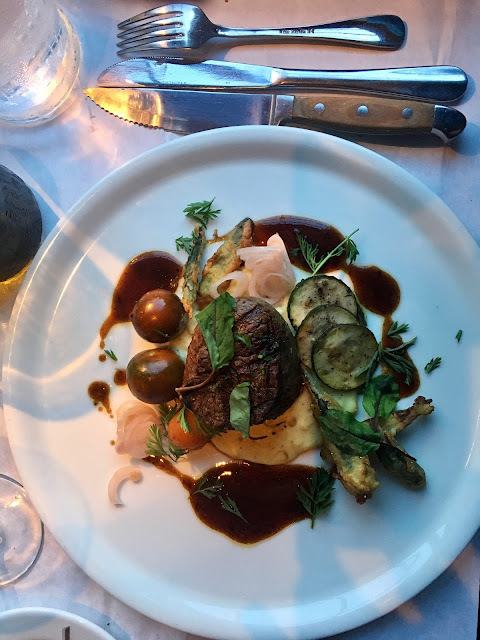 MacG went the classic route and ordered the Filet Mignon (6 oz Niman Ranch herb roasted filet, blistered tomato, roasted corn pudding, grilled summer squash, fried okra, pickled pearl onions, black currant demi-glace). It was beautiful. He sliced through it like it was actual butter. And it came with blistered tomatoes. Who thinks to "blister" a tomato?? And the last of the entrees belongs to Marlaina, who true to form, went for the lamb. I swear to God, she's got a secret love affair with this animal. 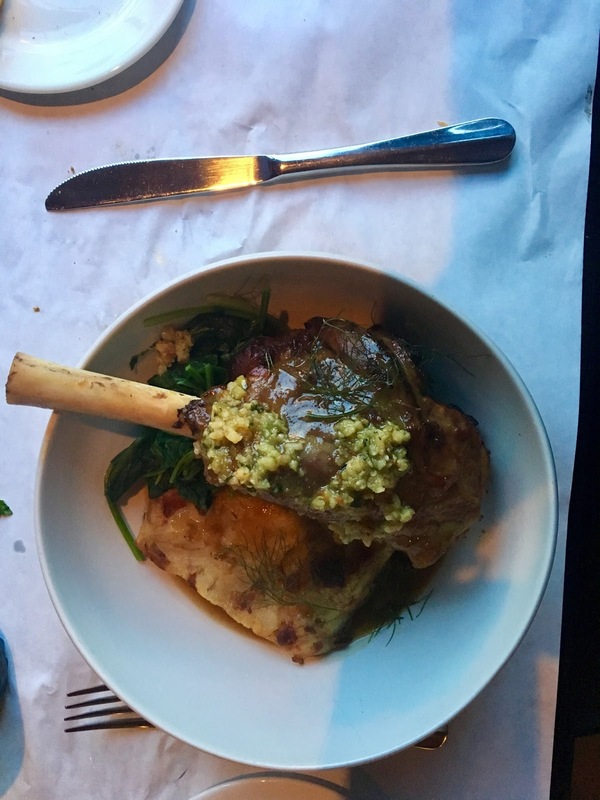 Lamb meat comes in three types: lamb, which comes from a sheep that's less than a year old; hogget, which is the meat of a lamb older than one year; and mutton, which is the meat of an adult sheep. Lamb is the most expensive of the three. Of course it is. That's my Marlaina! The Riesling Braised Lamb Shank (Braised lamb shank, potatoes tartiflette, bacon lardons, braised greens, green olive and Marcona almond salsa, roasted leek pan jus) looked medieval. A big 'ol hunk of meat that was literally falling off the bone. Perched atop the potatoes tartiflette, it was begging to be devoured. She loved it. The portion was so generous, she took most of it home. The food was really outstanding, but there was still dessert to be had. I was full, but the choices were so enticing, I had to have something. The boys skipped dessert and instead each ordered a glass of 10-year-old port. I ordered what Marlaina called the "most boring dessert" on the menu, the Vanilla Crème Brûlée (caramelized sugar, orange shortbread, fresh berries). I know, I know, plain jane, but it's one of my favorite desserts. I have never made it, and don't even know if I'd attempt it because of the whole burning-of-the-sugar-to-create-the-caramelized-hard-cracked-top-surface part. The custard is just so creamy and delicious that I'm always drawn to it when I see it on a menu. I can't resist. I'm glad I ordered it. First of all, it was the largest portion of crème brûlée I've ever had in my life. Usually, it comes in a tiny ramekin like this, with about an inch of custard. But this dessert - which I didn't take a photo of - came in a freakin' cereal bowl! On one hand, it was too much because I was pretty full from everything else we ate, but on the other hand, there was enough to share with Ed. And it was deeeelicious. Marlaina gave me the evil eye when I placed my desert order because after reading the menu online, we kinda agreed that I'd order the cheesecake. But when it came time to order, "crème brûlée" just popped out of my mouth before I could stop it. Upon further discussion, and with input from the server, we eventually decided to order a second dessert for the table to share - the Meyer Lemon Goat Cheese Cheesecake (strawberry and pink peppercorn gastrique, fresh strawberries). And boy, am I glad we did, because I was really intrigued by both the "Meyer Lemon" part, and the "Goat Cheese" part of this dessert. It turned out the goat cheese was amazing. I'm totally going to make a cheesecake in the future using goat cheese. It was so insanely light. Whipped, really. Fluffy. 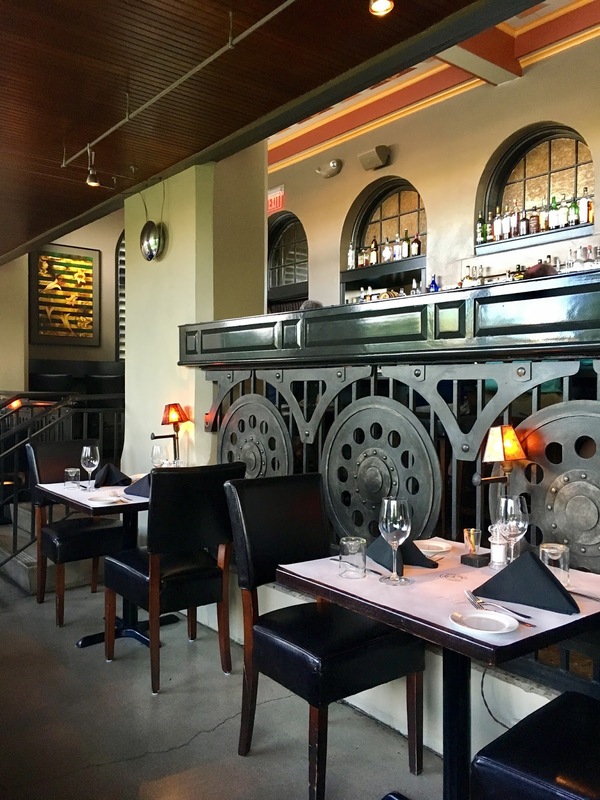 The restaurant, located in downtown Tucson's beautifully restored historic train depot, was a very enjoyable experience. Seated by the window we could see the "edible garden" where they grow a lot of the vegetables used in their dishes, and beyond that, the tracks where freight trains stacked with shipping containers, steadily chugged by. I love to cook for my family and friends. As much work as it is at times, it's a real pleasure when I hear that what I've cooked has made a person happy. And I'll never get tired of hearing the compliments. But, I also love to eat out. And it was really wonderful to be treated to such a nice place (even The New York Times loved it!) and to be accompanied by friends who are interesting to be with. Thanks, M & M for a great night! 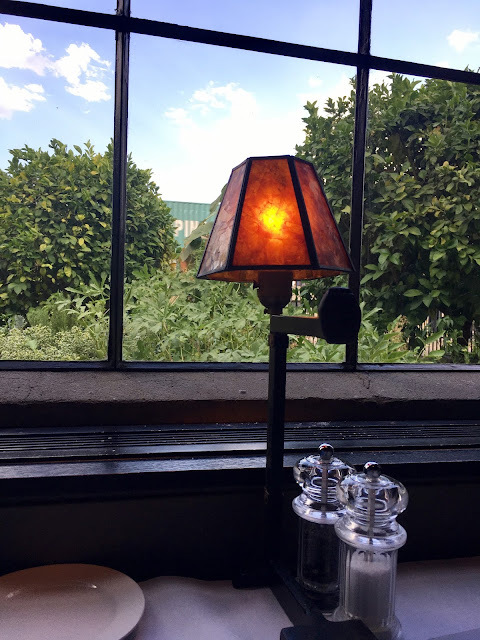 This restaurant has been on our radar for a few years but in past visits, it just didn't work into our plans. I'm glad we finally fit it in. It was definitely worth the wait.